Looking for Kickboxing Classes in Crowborough? 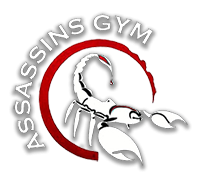 We offer 5 kickboxing classes a week, here at Assassins Gym. Adult classes run on Tuesday, Wednesday and Thurdays evenings, while Mini Assassins (Under 14’s) runs on a Wednesday afternoon / evening. Monday evenings is sparing only and all are welcome. You can find all the times here in our timetable. Kickboxing instructor and Assassins’s co-owner Lewis Pears is a highly qualified coach with years of experience. His huge range of achievements includes being a British Kickboxing Champion and bronze medal winner at the ICO (World Full Contact Kickboxing Championships. Lewis prides himself on creating strong, confident and highly skilled kickboxers that are the best they can be and the results can be seen in the achievements every student makes.